The Nyos Torq 0.75 Reactor Body is designed to be used in conjunction with the Torq Reactor Dock to allow a modular and interchangeable use of fluidised reactor media within a Marine Aquarium. 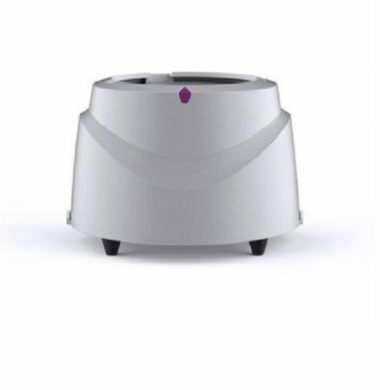 The Nyos Torq 0.75 Reactor Body allows storage of up to 750ml of media per use. The Nyos Torq 1.0 Reactor Body is designed to be used in conjunction with the Torq Reactor Dock to allow a modular and interchangeable use of fluidised reactor media within a Marine Aquarium. 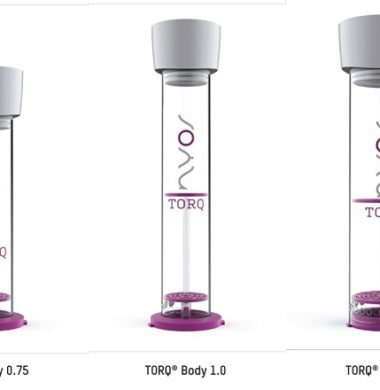 The Nyos Torq 1.0 Reactor Body allows storage of up to 1000ml of media per use. The Nyos Torq 2.0 Reactor Body is designed to be used in conjunction with the Torq Reactor Dock to allow a modular and interchangeable use of fluidised reactor media within a Marine Aquarium. The Nyos Torq 2.0 Reactor Body allows storage of up to 2000ml of media per use. The Nyos Torq Reactor Dock is designed to be used in conjunction with the Torq Reactor housings to allow a modular and interchangeable use of fluidised reactor media within a Marine Aquarium.